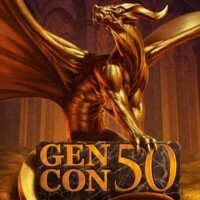 Explore the different covers of the Gen Con programs from Gen Con's 50 year history. The events of Gen Con can only tell us so much about what took at the convention. We know, for example, that many other events and activities took place that are not detailed in any of the programs. To gain more perspective on Gen Con and its events we must turn to the people who have attended over the years. 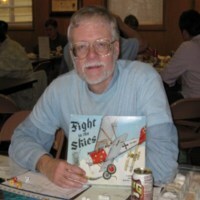 Attendees are even more varied than the show's events, and in that vein we have strived to collect short oral histories from Gen Con attendees of different eras and with different reasons for attending or roles within the convention. Interviews were recorded either in person, over the phone, or conducted via email. Audio recordings with transcriptions are provided when applicable. If you believe there is someone else we should interview please contact us at digitalscholarship@temple.edu with more information. Gen Con has seen much in its 50-year history. Born from the remains of a small convention in Malvern, Pennsylvania, Gen Con has evolved to become the foremost gathering for tabletop gamers in North America, if not the world. There are a multitude of other gaming conventions, however. What makes Gen Con special? 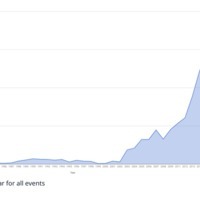 How has it lasted as long as it has, and why has it been able to grow to its current size of more than 60,000 individual attendees? 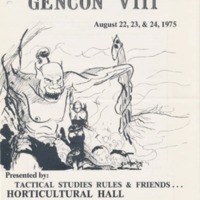 To examine these questions, we turn to the historical record of Gen Con: its programs. Who is Running Games at Gen Con?